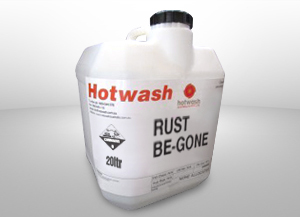 RUST BE-GONE Acidic Detergent & Rust Remover is a concentrated versatile liquid acidic compound designed to be used by either immersion or “wipe-on” and formulated to remove oil and inorganic soils, at the same time as preparing metal surfaces for painting. Removes rust, heat scale, oxides, flux and welding spatter from ferrous metals and zinc coated (galvanised) steel. Inhibited to minimise attack on base ferrous metal. Conditions mild steel surfaces for painting by imparting some of the properties of a phosphate coating. Surfactant System wets out surfaces and assists in penetration of joints and recesses. 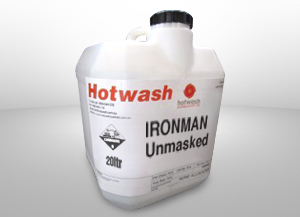 Provides temporary rust protection to ferrous metal surfaces. 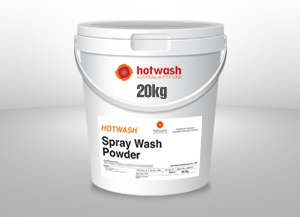 Removes oxides (white rust) from aluminium and zinc surfaces.